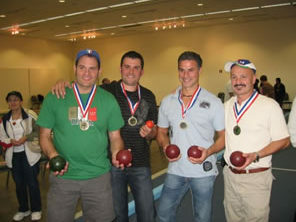 The Bocce Tournament is one of the major events of Festa and we want your team to join in the fun! 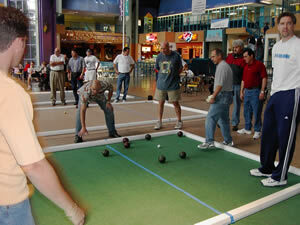 This year, the Oberto Bocce tournament is back again in its original location in the Seattle Center Pavilion. 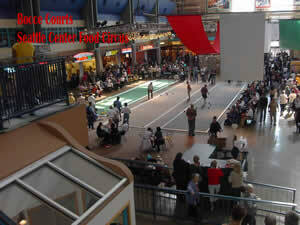 We invite your club or organization to participate in the tournament with as many teams of four as you wish. As always, this will be a double-elimination contest. Play will begin each day at 9:00 am and all teams must be registered by 9:00 am. Latecomers may forfeit their chance to play after that time. 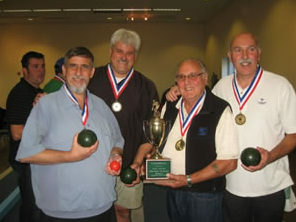 The Bocce committee reserves the right to reassign a team to another category if necessary. You will be advised by phone if this occurs. For teams that play on a casual basis or spur of the moment – this category plays every year on Saturday. For teams that regularly play together in most tournaments – this category plays every year on Sunday. Teams may be co-ed and should have their own equipment. The entry fee is $80.00 per team. A coupon for a sausage sandwich and a soft drink will be given to each team member. 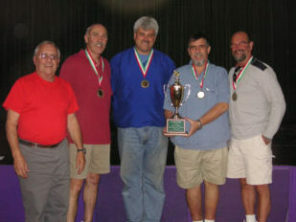 First and second place teams in both categories will receive a trophy or medallion. Registration will be closed as of Thursday, September 26, 2019, so please get your teams registered early to insure your place in the competition. Registrations received after that date may not be accepted. You may use the downloadable PDF Bocce Application and send your application and an $80 check made out to Festa Italiana. Remember, you can’t play without registering!